The dust was so thick that Justin Greenwell could barely see what was in front of him. A 29-year-old miner, Greenwell had grown accustomed to working in the coal dust below ground in the Parkway Mine in Muhlenberg County, Kentucky. Yet the prevalence of the dust in the air bothered Greenwell more and more. He'd labored for seven years in the mines, and already he was experiencing shortness of breath when he worked on his farm on the weekends. 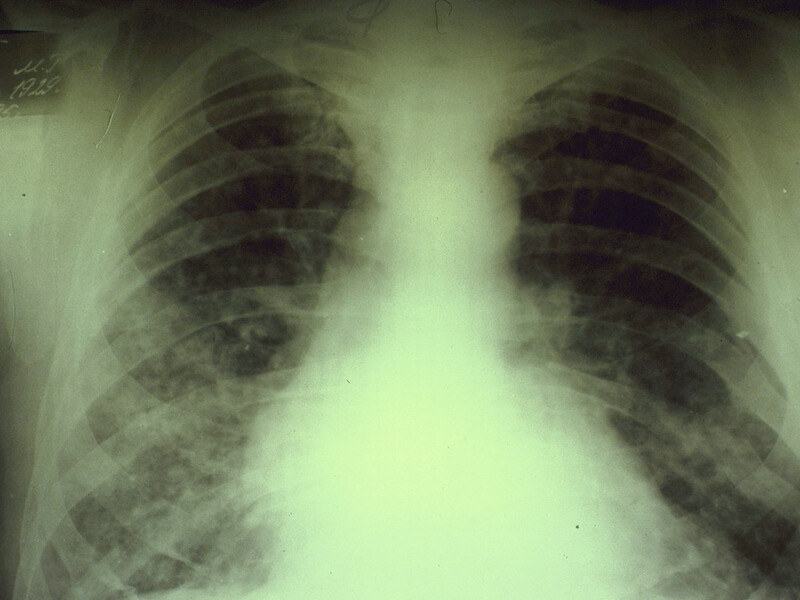 Prolonged exposure to coal dust leads to coal worker's pneumoconiosis, known colloquially as black lung. It's a miserable disease that forces miners to live out their last days coughing and gasping for air. To protect employees, mine operators are required by law to keep their coal dust levels in check. While inspectors do some of the monitoring, the operators themselves also collect samples and provide them to federal regulators to prove they're in compliance. According to Greenwell, there was a simple reason the Parkway Mine managed to avoid fines despite all the dust: Its operator, Armstrong Coal, a subsidiary of St. Louis-based Armstrong Energy, was submitting misleading samples to regulators. "It's been going on since I started there," Greenwell alleged in an interview. "All these guys in management, they know it's wrong. But they don't care about our health." On Jan. 24 this year, Greenwell's allegations of inaccurate sampling apparently proved true. That day, officials with the Labor Department's Mine Safety and Health Administration (MSHA) performed what's known in the industry as a "blitz." Pursuing an anonymous tip, they showed up unannounced to inspect the mine. According to witnesses, supervisors at the mine went into a panic, ordering workers to shut down their machines and stop running coal. There was good reason for the freakout. According to Labor Department documents, Armstrong miners weren't wearing their coal dust pumps. These are the devices that measure the amount of dust in a mine's atmosphere; when a company is sampling dust levels, miners are supposed to wear them for a full shift as they work. At Parkway, the MSHA report says an inspector found the two dust pumps hanging away from where the coal was being mined and at the power center, where the air is much cleaner. The pumps were guaranteed to register dust levels much lower than those to which miners were actually being exposed. The MSHA inspector cited Armstrong with "reckless disregard" for the law, saying the company demonstrated an "unwarrantable failure" in the incident -- the agency's most serious class of safety violation. MSHA has proposed a fine of $150,600, though Armstrong can fight the penalty. Greenwell said he's been interviewed as part of an apparent MSHA investigation into the fraud allegations as well. MSHA would not confirm or deny that such an investigation is underway. "There's been cheating ever since I've been there," said another Parkway miner, Mike "Flip" Wilson, a 40-year veteran who's been at Parkway since Armstrong started producing coal there in 2009. A spokesman for Armstrong, which operates seven mines in Western Kentucky, did not respond to repeated requests for comment. Fed up with what he described as dangerous working conditions, Greenwell acknowledges that he was the one who provided the anonymous tip to inspectors. Once it became apparent that other miners knew as much, Greenwell's lawyers informed Armstrong in writing that Greenwell was responsible. Now, his whistleblowing may have cost him his career. Greenwell's case underscores the challenges facing federal regulators as they overhaul the rules protecting miners from black lung disease, which played a role in an estimated 10,000 deaths in a recent 10-year period, according to the National Institute for Occupational Safety and Health. Despite an overall decline since the 1970s, black lung has made a resurgence in recent years in pockets of coal country. After the Upper Big Branch mining disaster, which took 29 lives in West Virginia in April 2010, autopsies of the 24 miners whose lungs could be examined revealed that 17 had black lung. Five of those workers had been working in the mines for less than a decade. Though no one can say for certain why black lung has surged in some areas, it probably has to do with the fact that much of the easy-to-reach coal in the U.S. is now gone. That means coal operators are cutting into more rock to get to the coal seams that are left. Many miners are likely now breathing nastier dust mixtures, as well as working longer hours in it. In a step toward making good on its promise to end black lung, the Labor Department in April rolled out long-awaited reforms to coal dust regulations. The government is lowering the allowable level of coal dust in a mine from 2.0 milligrams per cubic meter of air to 1.5 -- a move that should force operators to better ventilate their mines and protect workers from dirty air. The National Institute for Occupational Safety and Health had recommended a tighter threshold of 1.0. The 1.5 level appears to be a compromise with a coal lobby that's long fought reform. Still, mine safety advocates welcomed the new requirement as a much-needed step in the right direction. "This probably will be the most significant worker health and safety regulation that gets out of the Obama administration," said Celeste Monforton, an occupational health expert and former MSHA staffer. "It is very important, and it is a big improvement." The new regulations also mandate the use of a personal dust monitor, a device that provides real-time readings of a mine's coal dust level. The monitor will replace the outdated dust pumps used in the current system, which requires miners to take a series of samples every two months and then submit them to regulators for analysis. Unless they later sought out the results, most miners would never know how much dust they'd been working in. "It's an amazing piece of technology," Joe Main, the head of MSHA, said of the new dust monitor. "It's not only going to help miners know themselves, but it's also going to be a better tracking system that leaves a trail behind. You can look at the data and determine when it's been sitting on the power center for half a shift." The introduction of the real-time monitor could bring unprecedented transparency, theoretically enabling miners to refuse dangerous work in dusty conditions. But the monitors, which MSHA says cost between $13,000 and $15,000 apiece, will be used only by certain miners during designated sampling periods, much like the dust pumps now in use. And even with the reforms, regulators will still rely on the industry to police itself when it comes to coal dust. If the new rules survive a court review requested by the coal lobby, the personal dust monitors will go into use two years from now. But the program will still leave it to mine operators to do most of the monitoring and submit their data to the government. Main said he is confident that the reforms will make it much harder for mine operators to cheat on their samples. "When you look at all these pieces together, the miners of the future will have a better life in the mines than in the past," he said. Other industry observers are less confident the cheating will actually come to an end. "Outlaw coal operations didn't comply with the 2.0 standard. So why will they comply with 1.5?" said Tony Oppegard, a lawyer for Greenwell who's represented miners in safety cases for more than 30 years. "If an operator thinks that way, they will find ways to get around it. There will be some creative cheating going on." "I think that there will always be ways to cheat," said Ellen Smith, managing editor of Mine Safety and Health News, an independent publication covering the industry. "Simply put, the responsibility really lies with the miners themselves." Cheating on dust samples has been something of an open secret in the coal industry for years, a fact acknowledged by MSHA. Industry watchdogs suspect that some mines often operate with dust levels above the 2.0 milligram level, let alone the new, lower threshold of 1.5. But it's likely certain operators have avoided fines by submitting unreliable samples. A 1998 report by the Louisville Courier-Journal detailed the ways in which miners in Appalachia have juked the coal dust numbers with the encouragement of managers over the years: placing the pumps near clean air intakes, sticking them in lunch boxes away from the dust, and wearing them only a fraction of the time they're supposed to be worn. According to a 2012 investigation by the Center for Public Integrity and NPR, MSHA secured 185 guilty pleas and convictions for sampling fraud in the mining industry between 1980 and 2002, most of them after a scandal in the early 1990s. But between 2002 and 2012, the agency had no records of any such pleas or convictions. The investigation noted that despite receiving more than 53,000 non-compliant dust samples over the course of 11 years, MSHA issued fewer than 2,400 citations, in part because the current rules allow mine operators to average their samples in a way that cancels out high dust readings. 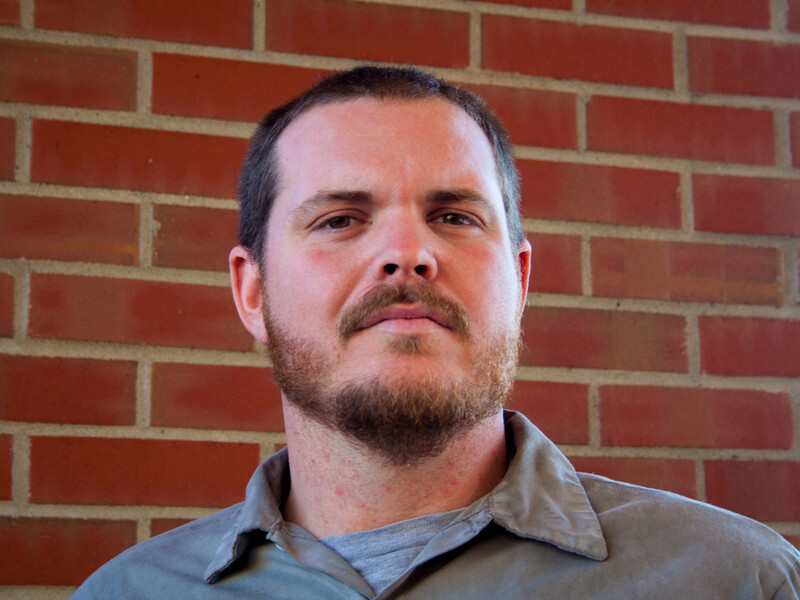 Stephen Sanders, director of the Appalachian Citizens' Law Center, a Kentucky public interest law group that represents miners, said the passing grades on dust sampling at some mines under the current system are hard to square with reality. "In Eastern Kentucky, we frequently will see miners at the gas station or the quick mart after work, and they're just covered with this black sooty grime. That raises a flag for me," said Sanders. "Are they really working in that kind of a dusty environment? Well, they are. It just doesn't seem like you could get covered with that kind of grime if you were in an area at the permissible [dust] level." Main said that MSHA has little choice but to rely on coal companies to provide the dust samples, given that the budgets offered by Congress, particularly in an era of sequestration, don't allow the agency to handle all of the sampling on its own. But he noted that the new reforms will no longer allow operators to average out their samples to create misleadingly low numbers, and that they'll have to take more samples when the mine is operating close to full production -- a time when conditions are dustier. Monforton said that as long as the coal companies themselves handle the testing, the results should be viewed skeptically. "How much are you really going to trust the samples done by operators?" she said. "They have a history of cheating. There's cheating now going on. Even the really honest ones are suspect." Miners themselves play a central role in the cheating, since they're the ones who actually wear the dust pumps. Some take part because they don't want to get their own mine in trouble, believing it could hurt the employment prospects of everyone in the mine. Others take part because managers pressure them to. Doing dust samples on the up-and-up -- even if it means protecting oneself from black lung years down the road -- may not seem worth risking one of the only high-paying blue-collar jobs in town. "They scare guys into thinking that having no [high-dust] samples is in their interest," said Tim Miller, an international representative with the United Mine Workers of America union in Western Kentucky. "They imply heavily that your job depends on it. And young boys don't think about their long-term health. They think they're bulletproof. But over the years, they become an old man before their time." In a place like Muhlenberg County, a miner has ample reason to breathe dust without protest. The county has an unemployment rate of around 10 percent -- more than three points above the national average -- and a median household income below $39,000. Yet a young miner like Greenwell can clear well above that, plus overtime, if he's lucky enough to have one of the coveted coal jobs in the area. The Kentucky coal industry employed only 12,000 miners in 2012, but it offers an average salary above $60,000, according to a report produced by the state Energy Department and the Kentucky Coal Association. "There's a saying: 'If you won't do it, we'll get somebody who will,'" one Parkway miner, who spoke on condition of anonymity out of fear of losing his job, said of the pressure to keep dust numbers low. If a worker had the gall to wear a dust pump properly for a full shift and bring in high numbers, the miner added, "You was gonna be dealt with." Under the law, dust pumps can be collected only by miners who've been certified for the job by federal regulators. The idea is that a miner with a "dust card" credential has been properly trained to maintain the integrity of the samples. Greenwell and Wilson said that Martin helped run a program in which accurate samples were rarely collected. The dust pumps were often exposed to coal dust for as little as a half-hour before they were moved to cleaner air for the remainder of the eight-hour shifts, they said. The miners didn't begrudge Martin for the way they said things were being done. The way they saw it, he was merely doing what was expected of him. "He knows it was wrong," said the Parkway miner who requested anonymity. "But that's what he was supposed to do." After MSHA issued Armstrong with its "unwarrantable failure" citation, Martin was fired. Reached by telephone, Martin declined to comment on the allegations of fraud at Parkway. The miners interviewed for this story said they knew of no other managers who were fired due to the incident. Wilson said that Martin was "thrown under the bus" after the citation. "He was doing exactly what the coal company wanted him to do," Wilson, 59, said of Martin's alleged sampling strategies. "He just got caught, that's all." Wilson has been working in Kentucky coal since 1974. For much of that time, he's run the machine that actually cuts the coal, which means he's been working in the dirtiest part of the mine and has often had to wear a dust pump for sampling. "I was told … 'Do whatever you gotta do for this thing to come in'" clean at Parkway, Wilson said. "And that's exactly what I did." Wilson himself now has black lung. He suffers from shortness of breath and chronic coughing, and he often finds himself hacking up black mucus. His health has gone noticeably downhill over the past year. He said he's come to rue the cheating he took part in. "It ain't good for the man, but it's good for the company," Wilson said. "The way they look at it, there ain't a man down there that can't be replaced." Within days of the blitz on Parkway, word made it through the mine that Justin Greenwell was the one who'd tipped off investigators. According to discrimination complaints filed with MSHA by Greenwell's lawyers, a manager seized a notebook that Greenwell had been using to document working conditions at the mine. Pages related to work hazards were stripped out of it and given to the mine superintendent. The job quickly became unpleasant for Greenwell. In an effort to "ostracize" and "shun" him, managers told rank-and-file miners that Greenwell was keeping notes on them, according to one of four discrimination complaints Greenwell has filed with MSHA against the company, accusing Armstrong of harassing him due to his safety activism. Greenwell's co-workers became cold. A fellow miner allegedly confronted him in the locker room at the end of the shift. "Someone needs to shut you up," he told Greenwell, according to one of Greenwell's complaints. On Feb. 28, Greenwell became a certified miner's representative, a designation from MSHA that gave him the right to accompany federal inspectors and point out safety problems as they made their rounds. Managers and even many miners often look down on diligent miner's reps, since their work can bring fines and even work stoppages. At one point, Greenwell revealed hazards that got a section of the mine shut down for two shifts until they were fixed, according to an MSHA filing. "Miners like Justin are very rare," said Oppegard, who's representing Greenwell alongside Wes Addington of the Appalachian Citizens' Law Center. "When you have a miner who insists on a safe workplace and is willing to fight for a safe workplace, most of his coworkers are seeing something they've never experienced before. They really don't know how to react. I think it scares other people." "He's a rare breed for sure," Oppegard added. "Particularly at a non-union mine." In late April, Greenwell told MSHA through his lawyers that he believed his foreman had falsified the record book detailing mine fire drills, according to MSHA. On April 21, MSHA came to the mine, conducted an inspection and cited the mine for violating its fire drill plan. According to one of his complaints, the next day Greenwell was suspended. Six days after that, he was fired. The same foreman accused Greenwell of sleeping on the job -- a charge Greenwell denies. Greenwell participated in a two-hour on-record interview with The Huffington Post before he was suspended and fired. He said in the interview that he believed he could be ousted for his whistleblowing. The Labor Department filed a motion to have Greenwell temporarily reinstated on the job, arguing that his firing amounted to illegal retaliation under mining law. For the time being, the company has offered to pay Greenwell his salary so long as he doesn't work, an arrangement he's agreed to. He can't be permanently reinstated unless he wins his discrimination case. Greenwell is now in the position of fighting to win back a job he believes was slowly ruining his lungs. He said he's been forced to make the choice that regulators have long said he shouldn't have to make: his livelihood, or his health. "I already have shortness of breath, and I'm only 29," he said. "I can tell a difference in my breathing now and five years ago. Just working on the farm I get winded, and I shouldn't. I'm angry about it. It's not fair for us miners to have to work in this atmosphere when the law says we don't have to." Outside of the mines, his $50,000 salary is hard to come by for someone without a college degree in Western Kentucky. If he can't win full reinstatement and get back underground, Greenwell isn't sure how he'll support his wife and three young daughters and cover payments on his small farm. Now at the tail end of his own career, and already in the first stage of black lung, Wilson said he wishes he'd spoken up as a young miner like Greenwell. "I've got a pretty decent living," he said. "I've worked hard for it and done what I thought I needed to do for the coal company. But now I'm regretting a lot of it." 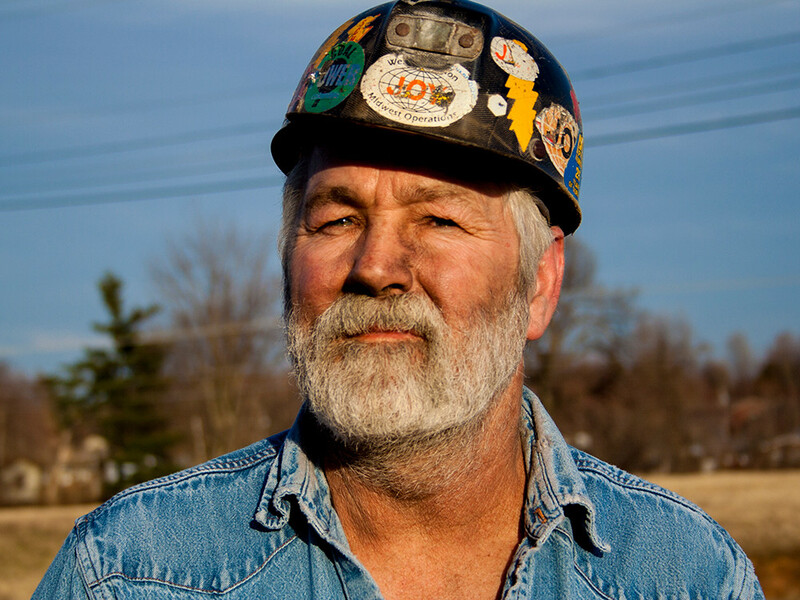 Due to his black lung, the Labor Department recently certified Wilson to be a "part 90" miner. The designation gives him the right to work in a less dusty part of the mine at the same rate of pay he's been earning -- a consolation of sorts for ruining his lungs in the mines. Some mine operators don't care for part 90 miners, since they can't work them as they see fit. Wilson claims that management discouraged him from accepting the status, and that they cut his shift by an hour once he did, a move that could be illegal under federal law. He's filed discrimination complaints with MSHA against the company. Wilson said he's hoping that his part 90 status will make it easier for him to breathe during his last years on the job, but he knows better than to look forward to a comfortable retirement. "I figure in another year and a half I'll be on oxygen anyhow," he said.